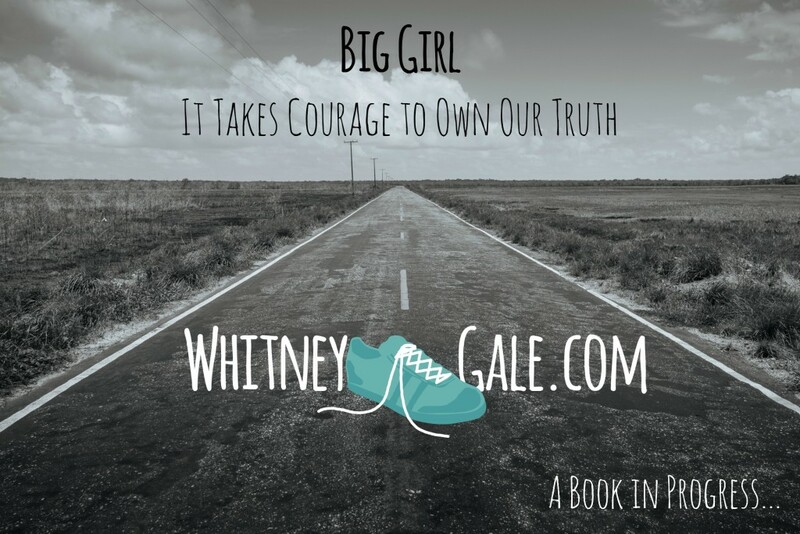 Big Girl: I let these words haunt me my whole life. I’m 6 ft. tall and I’ve been considered plus-sized, before plus-sized was a thing. No girl wants to be called big. This book is about a thirty-something woman who heals a 24-year relationship with bulimia, by discovering it’s never been about losing weight, it’s been about healing her relationship with shame. Eating disorders only heal when we share our stories. I launched this Blog in May 2015 to create a safe space for people out there like me- eating disorder outliers, people who have never been to treatment, people who have to figure out how to heal on our own. We know sharing is where recovery begins. 1. Why are the Shoes so Lonely? I was a little girl with many fears. I’d like to place blame on these anxieties from watching images of the 1986 Challenger spaceship blowing up in the bright blue sky, metal fragments falling down towards earth like deflated fireworks. After witnessing this iconic image, death was no longer an unused word located far off in the distance like it is for so many children. Death was now an actual action that could happen to a teacher selected for a prestigious spaceship mission or it could even happen to my own 2nd grade teacher. Death was now possible for all the people I knew and loved. My dad coined me his “worrywart” daughter. From an early age, I tended to agree with his definition. I was the family member who always had invented peculiarities on my mind. My little world of fears exploded by the time I was in 3rd grade. My family moved to Germany and my loneliness was cured through my imagination. I wasn’t the little kid at the sleepovers who freaked out and wanted to go home when we played games like, “light as a feather, stiff as a board” and “Bloody Mary”. I was worse than that kid. I was the one who stayed put, shaking in my boots, but not wanting to miss a moment. Then I would go home and have nightmares for days on end about what gates I might have opened from playing with the Ouija board from watching it spell out answers underneath our fingertips. Was my friend pressing too hard or were we speaking to the dead for real? When I started going to therapy in my thirties, I was in awe to learn from my therapist that everyone has a little depression, a little anxiety and a little fear. These were terms that seemed to comfort the feelings and memories I didn’t know how to address for so many years while growing up. Since sharing my story, I’ve met many other women who have opened up to me about their own fears growing up and their own anxieties that they still experience. It’s scary to talk to other people about the worst possible fears that float around in our minds like silent ghosts. The more I share, the quicker these fears lose their power. Pappaw died on November 6th, 2011 and it had been a Forever Day. Forever Days happen in late autumn, which is sometimes early November in Colorado. They can be filled with fiery fallen leaves dancing up to the sky or neighborhood children playing capture the flag one last time before winter weather comes. Pappaw’s forever day was filled with death. Forever days begin by waking up to crisp morning air, the sun warm against my cheeks and the slight chill convincing me it’s time to rotate my closet into sweater season. The day feels like one endless moment because everyone is mindful of how delicious the world looks covered in reds and golds. Autumn feels like it could secretly last forever. Shhh, Don’t tell anyone. Just enjoy this last day. When the sun slips behind the horizon, winter’s chill is one step closer to arriving on our porch steps. I started naming forever days while I was a kid growing up in Virginia. I had been enjoying one last day of outdoor play with a couple of neighborhood friends. We walked, talked, sang and giggled down by the lake in our townhouse subdivision. The sun warmed our skin while the chilly, autumn gusts swept off the water and passed right through our layers, sending invigorating chills to our bones. We held hands and danced in a lazy circle when a swirl of dried leaves rose from the grass and danced up into the sky. We broke hands, screaming with delight. We practiced cartwheels and sang songs from choir. Enjoy this moment. Tomorrow it’s going to snow. Today is a Forever Day. Mike and I married on a late afternoon in October, two weeks before Pappaw passed. Rich shades of fall covered the hillsides and red Sandstone Mountains soared out of the ground like majestic towers. The colors sparkled. Pappaw was not able to attend the wedding because he was in the late stages of cancer. He had always been a stubborn, Southern man, refusing to admit anything might be wrong with his health. Pappaw kept his world simple. He went grocery shopping every week to replace the same can of Pork & Beans and the same red canister of Folgers coffee. Going to the doctor any earlier would have complicated his life sooner and he wasn’t up for someone else changing his plans. He was diagnosed with stage 4 stomach cancer and he refused the help of chemotherapy. No one blamed him for opting out of treatment. I think he was ready to go, ready to meet back up with his wife (my Mamaw) and his son (my Uncle Tony). My mom was about to lose the last living member of her family. It was a sad time. My first months in therapy were focused on acknowledging the inner eating disorder voice in my head. I was desperate for a change but I was even more desperate to lose weight and have my body back to a size that felt good. The first piece of advice my new therapist, Debbie said to me was, “Throw out your scale!” I want to say that it was an easy process, but it wasn’t. I had been religiously weighing myself for over two decades, stark naked in the morning right after I peed. I wanted to make sure I was in the best possible position to make the numbers as forgiving as possible. I typically weighed myself 3 times to decode and average out what the varying numbers or lines read. Just to be sure. I felt anxiety in my chest when Debbie offered up her wisdom. I had owned and moved around with a Weight Watchers (WW) digital scale since college. When I stuck it in the trash, I was saying good-bye forever to a tightly held ritual. I had heard about throwing away my scale for years, but I didn’t think I was the type of person who really needed to be that extreme and who really need to throw away money besides, I thought I was in control of weighing myself. I decided I needed to finally ditch the scale like Debbie suggested but that’s only because I thought I knew how to get around not having a scale. I relied on my years of Weight Watchers fellowship knowledge. I had once heard a WW group leader tell our meeting several times that once we lost 10lbs. our clothes would start fitting normally again and once we lost 15lbs., it might be time to go shopping. I knew I was going to be able to tell when the weight came off even if I didn’t have the scale to prove it. I knew a way to beat Debbie’s system. I had big weight loss expectations. Debbie told me that once I got “it”, I would lose the weight quickly. I knew that I just hadn’t gotten “it” yet. I recognized that I just needed a shift in my behaviors and my ways of thinking but that kind of dedication takes serious consistency. I was still having the same hateful internal dialogue running through my mind all day long and the same purging relapses, promising every time would be my last time. Despite desperately wanting to quickly “get” it and lose 50 pounds, my mindset and my actions weren’t changing. I fantasized about being one of those annual “People Magazine” cover stories about, “how I had lost half of my body weight”. I started researching the statistics on healing from an eating disorder and the dreamy, quick success story in my mind started to fade. I learned on average it could take 5-7 years to fully recover from this disease. I also started to come to terms with the fact that bulimia was considered a disease and people tended not to recover unless they received professional help. It was a relief to know that all of my failed attempts were normal, not sad and pathetic like I had originally believed. At the time, I decided Debbie could play the role of my “help”. She told me that purging was no longer an option. It was something that simply wasn’t allowed to do anymore. If I binged, I was just going to have to sit in the pain until my stomach felt better. I felt sick and full a lot during this time frame. I was still sneaking and hiding my food rituals around Mike. I wasn’t ready to talk to him about any of it. I wanted him to think that I was fine, that therapy was “really working” and not bringing up the subject seemed to do the trick. I had no idea what the commitment of getting real help and support meant quite yet. Purges Be Gone! Now What About Those Binges?